One way to make sure you get the right seeds is by our packaging. When your packaging is opened, or seeds you bought did not come in the official packaging K.C. Brains can not give any guarantees about the product. Nor do we recommend buying from companies that sell/or send seeds outside of their original packaging. (of any Seed Bank/Producer for that matter!). You can also find our seeds in various shops around Europe. K.C. Brains ships products ONLY in their original packaging, in a discreet bubble envelop. You can add a shipping address through your account setting/or during check out. 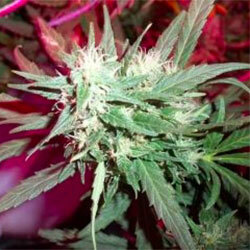 Please keep in mind that we do not send Cannabis Seeds to countries where it is not allowed. We handle our business within the unfortunate boundaries of the law, however we do not take any responsibility for loss, confiscation or legal issues regarding your order. You can look at the list of countries here. On every strain page you can see what the packaging of the different varieties looks like. And.. 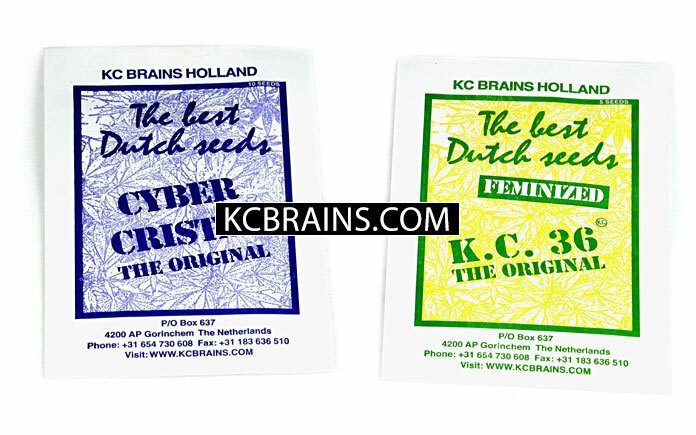 Yes.. We are talking about new packaging, but for now you will receive your seeds in our traditional bags. 🙂 We’ll just add a little sticker for you to recognise the original and/or to see how fresh your seeds are. Want to see all the packaging? Check below!